T.I. 's attorney told news outlets the accusation was "baseless, ill-founded and unjustified." 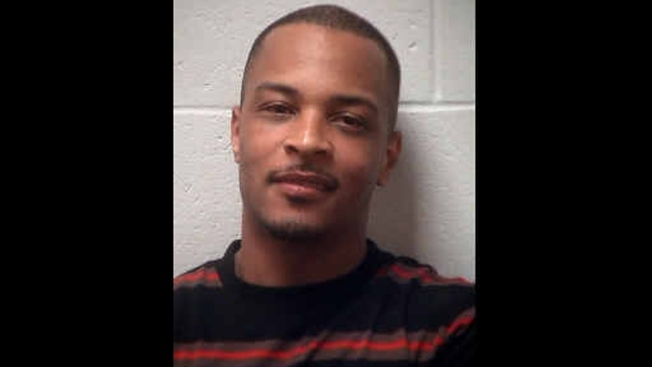 Prosecutors this month charged rapper T.I. with simple assault, public drunkenness and disorderly conduct following an altercation outside his Atlanta area home in May. Henry County Deputy Police Chief Mike Ireland said at the time that T.I., whose real name is Clifford Harris, had lost his key and the guard wouldn't let him in the neighborhood. According to the police report, T.I. was eventually allowed inside but walked back to the guard, demanding his name. Police were called and T.I. was arrested but later released on bond. The county solicitor general's office filed the accusation Friday. T.I. 's attorney Steve Sadow told news outlets the accusation was "baseless, ill-founded and unjustified."